Tony Kemp (OF - HOU) Kemp chipped in a two-run homer despite the Astros falling to the A's 6-4 Thursday. Overall the speedy outfielder had just the one hit, but also recorded a steal, and two runs along with the two-run shot. Overall, Kemp is slashing .297.392/.432 with three home runs, 17 RBI, 16 runs and seven stolen bases. With the season he is having, Kemp is becoming more than just a deep league add, especially if you're in the market for steals. His only issue is finding time in a crowded Houston outfield, especially with the recent call up of top prospect Kyle Tucker. Kemp is hitting well right now and could see a bit of an uptick in playing time. Even if he isn't in the lineup every day, he remains a solid add for some cheap speed. Mookie Betts (OF - BOS) Betts was once again the driving force in the Red Sox 6-4 win over the Blue Jays Thursday. In a 13-pitch battle with Jays' starter J.A. Happ, Betts smashed a grand slam, and finished with two hits and five RBI on the day. The 25-year-old continues to do everything well, as evidenced by his .352/.440/.683 line. 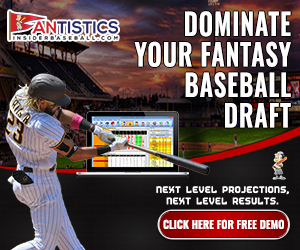 Add on his 23 homers, 49 RBI, 76 runs and 16 steals and you have a player that figures to become a mainstay in the first few picks of fantasy drafts for years to come. He isn't better than Mike Trout, but if you miss out on the top overall pick, Betts is a sweet consolation prize. Garrett Richards (SP - LAA) Richards will undergo Tommy John surgery which ends his 2018 season, as well as all his 2019 campaign. The 30-year-old had hoped to avoid the knife, but to no avail. He finishes 2018 with a 3.66 ERA and 87 strikeouts in 76.1 innings pitched. Richards has been a solid mid rotation fantasy option but has struggled to stay on the field. The injury couldn't have come at a worse time as he will be a free agent this winter, which works in the favor of teams willing to take a chance on him. He won't figure into your fantasy plans until 2020 at the earliest. Manny Machado (SS - BAL) Machado went 2 for 4 with an RBI as the Orioles collected their 68th loss of 2018 at the hands of the Phillies Thursday. Machado to the Yankees rumors appeared to heat up a bit Thursday as New York is reported to have made a solid offer to the Orioles for the franchise shortstop. Further speculation came from Machado liking an Instagram post of himself in a Yankee uniform. Speculation on what happens with Machado is the biggest story heading towards the trade deadline. While it's not a lock that he will be dealt, it appears more likely he will switch addresses before the July 31st trade deadline. 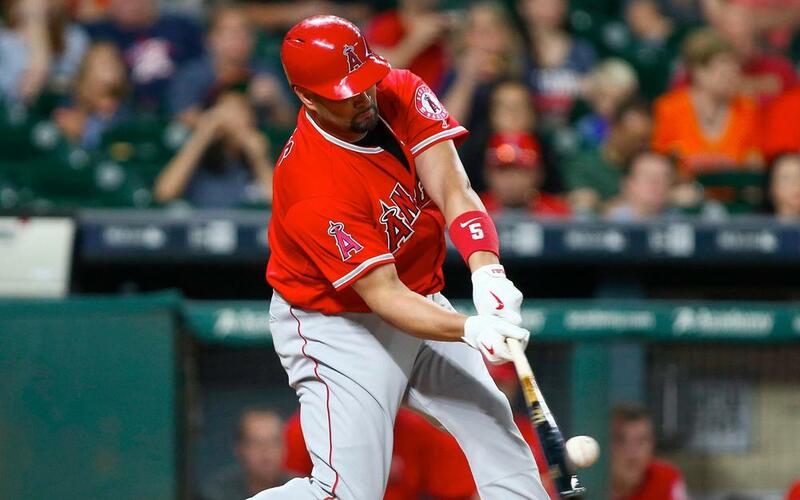 Albert Pujols (DH - LAA) The future Hall of Famer smacked his 15th and 16th home runs in the Angels' 11-2 win over the Mariners Thursday. On the season, Pujols is hitting just .251 with an OBP of .292, along with 51 RBI. The 38-year-old is obviously not the dangerous slugger he once was but is still talented enough to post modest numbers and hit a few homers. His two homers tied Ken Griffey Jr. for sixth on the all-time list, which speaks to just how great Pujols career has been. He remains a solid option in deep leagues.